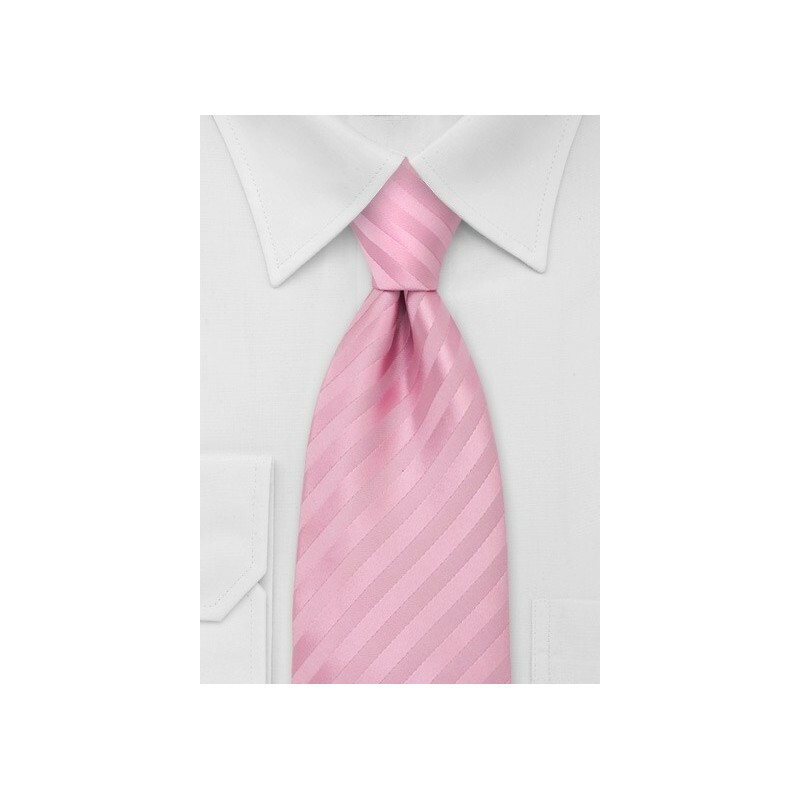 An elegant rose-pink necktie made in extra long length for the big and tall man. This tie measures 62 inches in length and will be the right fit for men above 6 foot 3 inches, and/or men with a larger collar size. 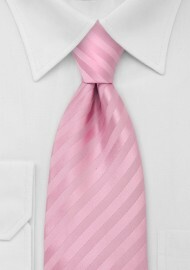 To match this tie we suggest lighter "summer suits" in colors gray, charcoal, navy, and tan. It is the perfect tie for the spring as well as summer. Made from stain resistant microfiber fabric.